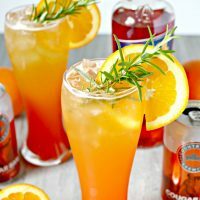 Beer cocktails have become increasingly popular over the past few years. 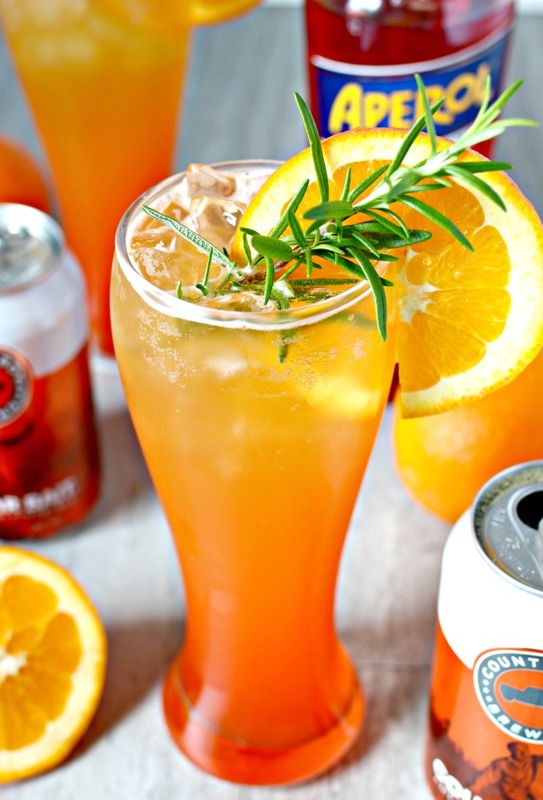 This Orange Aperol Beer Spritz takes our favorite blonde ale from Country Boy Brewing and kicks it up a notch with the taste of freshly squeezed orange juice and a bit of Aperol. It screams summer! Aperol has been around for ages, but has made a major comeback in the cocktail world lately. What is Aperol? Aperol is an Italian apéritif made of gentian, rhubarb, and cinchona, among other ingredients. The major flavors I get from aperol are sweet orange with a bit of bitterness. It pairs extremely well with Prosecco and also with beer, especially the blonde versions. We paired Aperol with our favorite local beer, Country Boy Brewing’s Cougar Bait American Blonde Ale, and it turned out absolutely amazing! 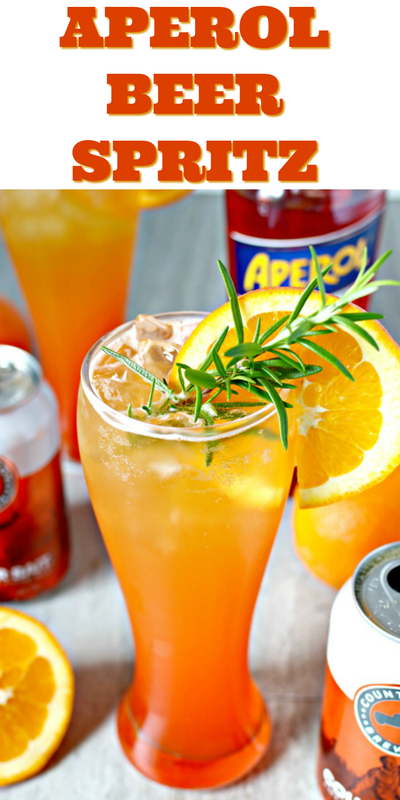 What’s in an Aperol Beer Spritz? Beer cocktails have become increasingly popular over the past few years. 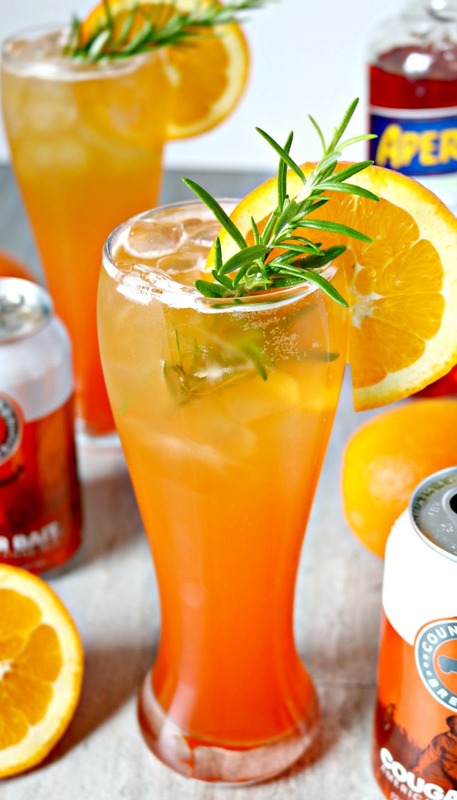 This Orange Aperol Beer Spritz takes our favorite blonde ale from Country Boy Brewing and kicks it up a notch with the taste of freshly squeezed orange juice and a bit of Aperol. Fill pilsner glass with ice. We hope you enjoy this amazing beer cocktail as much as we do! Find all of our Cocktail Recipes HERE in our Recipe Index! Love bourbon? 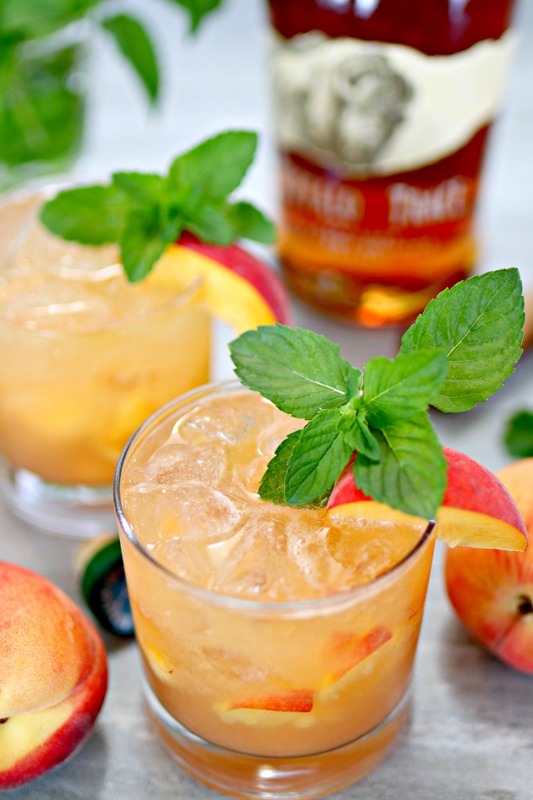 Try this refreshing Bourbon Peach Smash! It’s the perfect blend of Kentucky bourbon and sweet Georgia peaches. 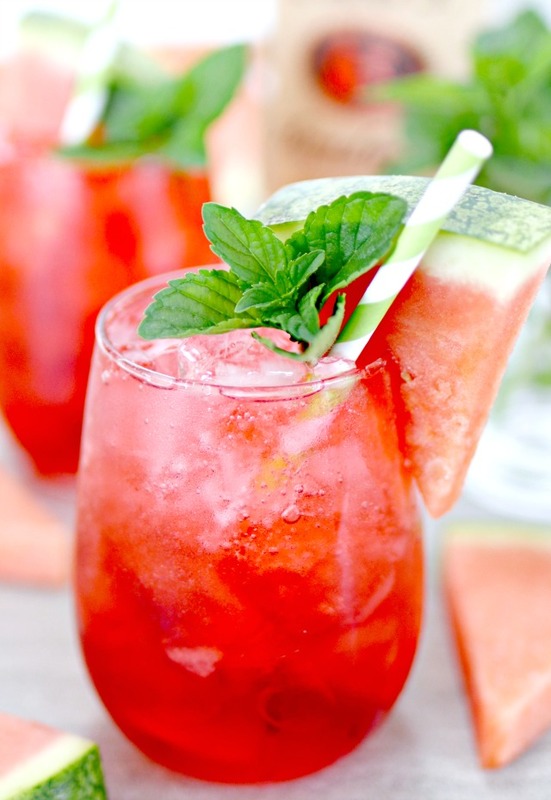 If vodka is more your speed, you will love this summer cocktail, the Watermelon Vodka Fizz! It’s the perfect patio drink to share with friends! 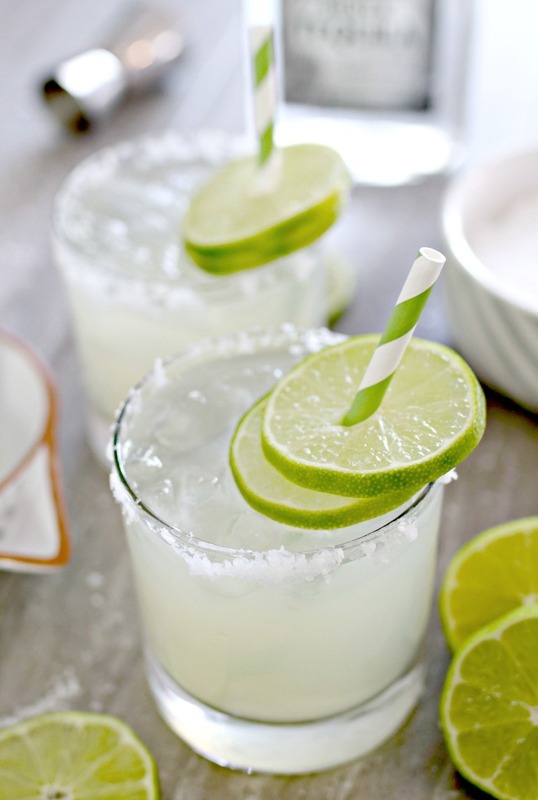 My favorite drink right now just so happens to be margaritas, and you don’t get much more fresh than this Super Fresh Margarita Recipe…they are so authentic, you’ll think you’ve died and gone to Mexico!